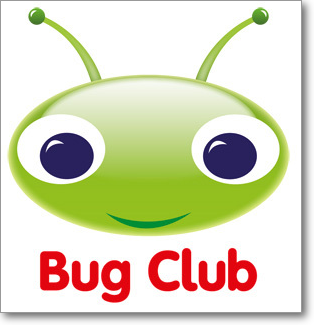 Please check the website on a weekly basis to keep up to date with school and class information. Please click the images below to access the school online resources. 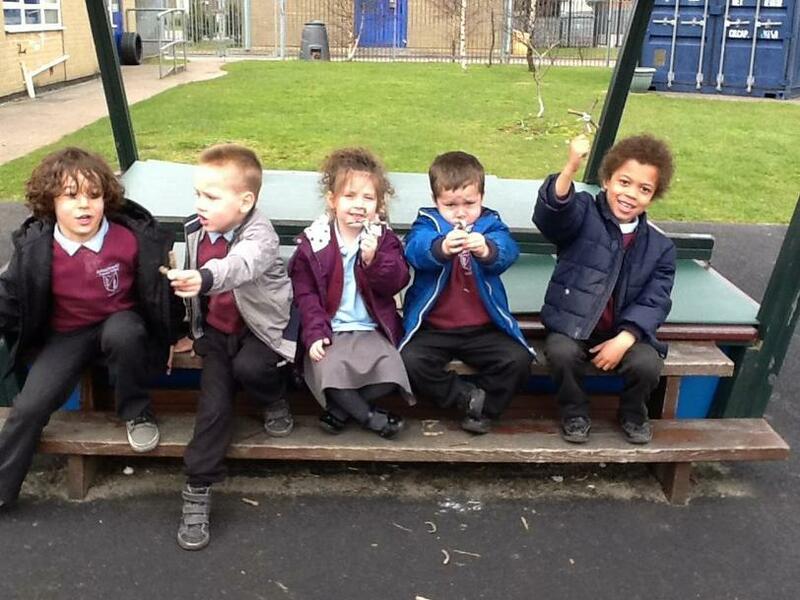 After the Easter Holidays, P.E will be taking place outdoors. Children will need suitable clothing e.g. joggers/ leggings and suitable footwear. P.E kit can be kept in school until the end of each half term. We will be learning about the importance of keeping our bodies fit and healthy and taking part in lots of different physical activities and ball games. Over the last few weeks we have been learning about Lent; looking forward to Easter and learning about the Easter Story. Here are some of the activities that the children have taken part in. 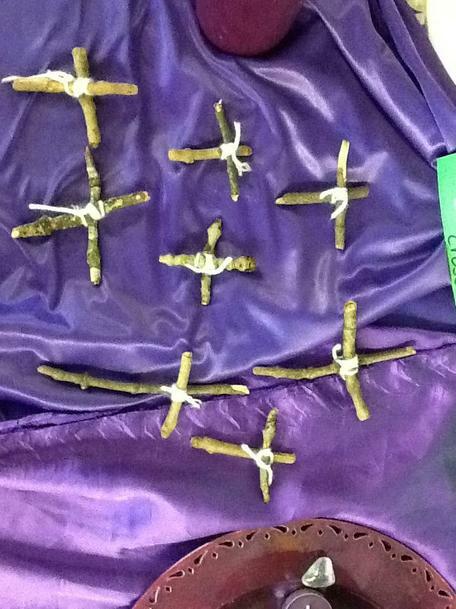 We listened to the stories; Palm Sunday, The Last Supper, Good Friday & Easter Sunday. We then made an Easter Story book. 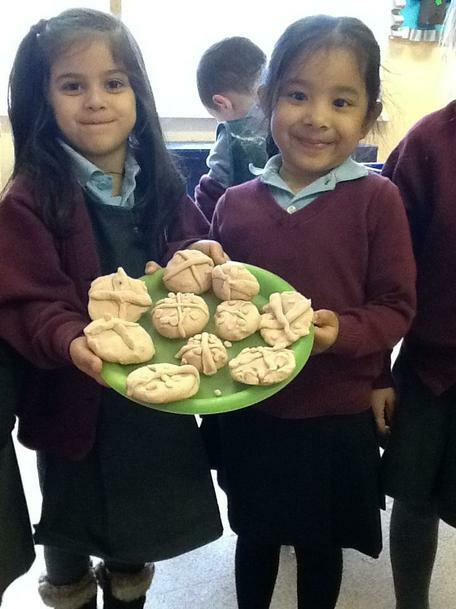 We also made hot cross buns using play dough and sang the 'hot cross bun' song. 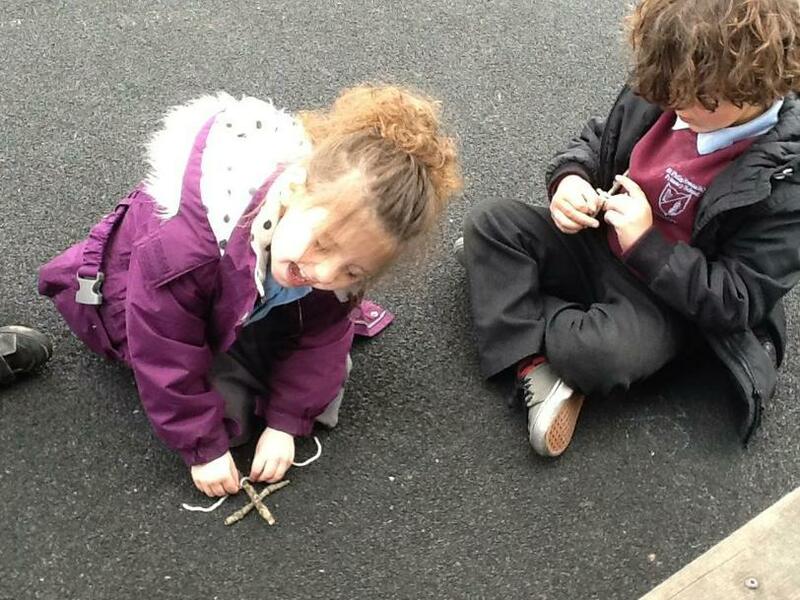 Outside, we looked for two sticks that were the same size and made a cross to remind us of Good Friday. This Week in Reception we have been taking part in lots of different physcial activities to help us understand that our bodies need regular exercise to stay fit and healthy. We have been thinking how our bodies feel after exercise and what foods and drinks we need to give our bodies energy.